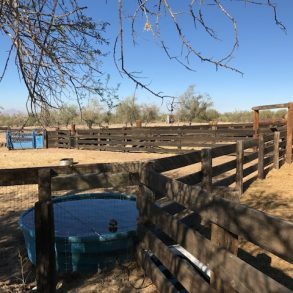 This ranch can be run with 95 head year long, with easy access to I10 and close proximity to the Marana Livestock Auction. 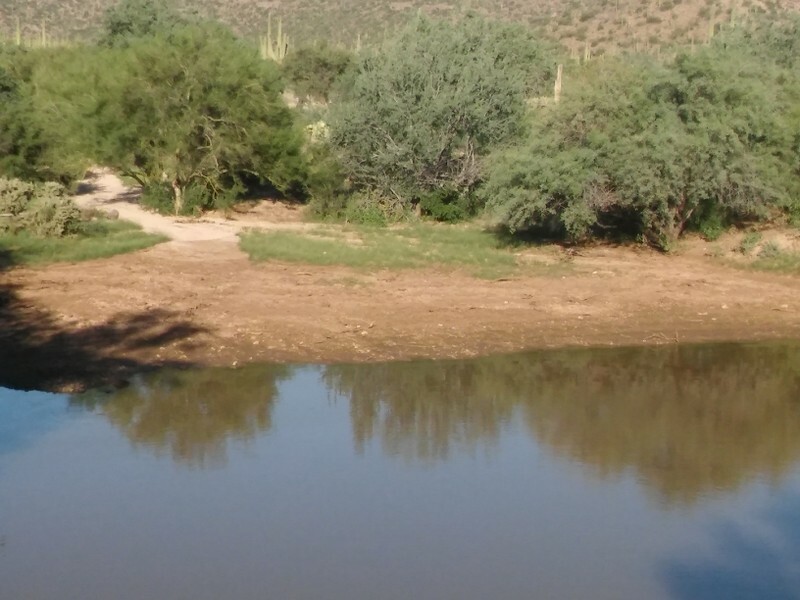 The land tenure reflects 23+/- sections of AZ State Land Department. 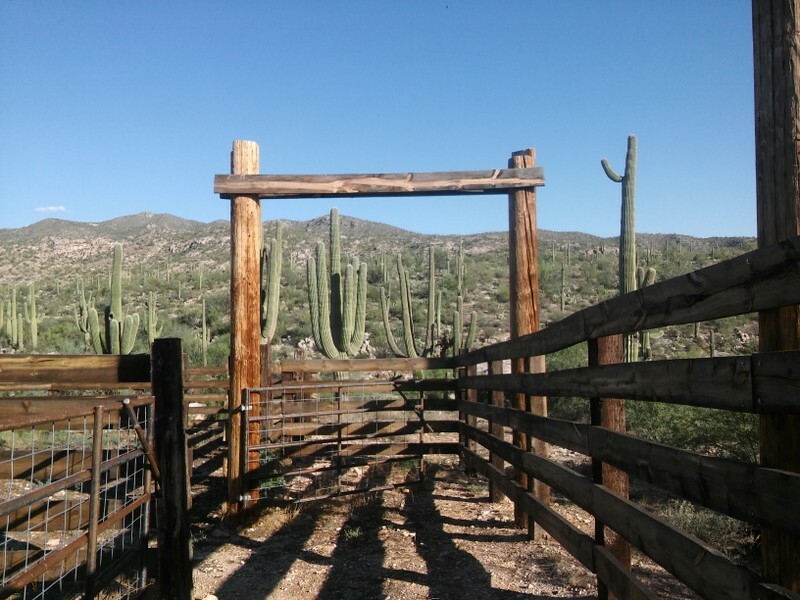 The ranch is beautiful with a lot of good improvements including stout new corrals with a high capacity for handling cattle. 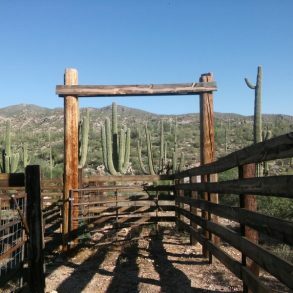 The ranch sustains approximately 95 head each year. 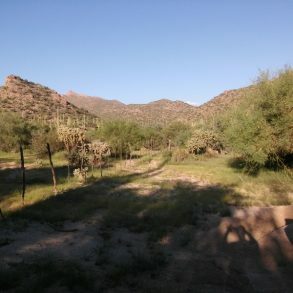 The north end of the ranch is in the Tortolita mountains with an Elevation of 3000′ above sea level. 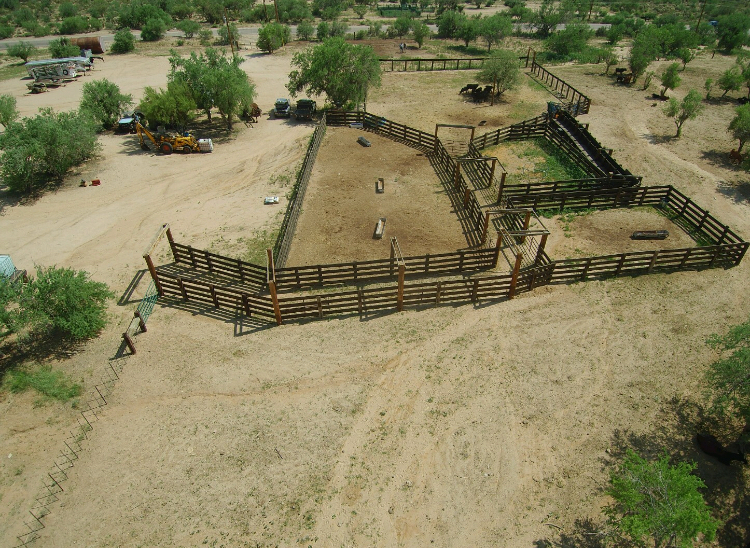 The ranch progresses south into the lower ground towards Marana at 2300′ above sea level. 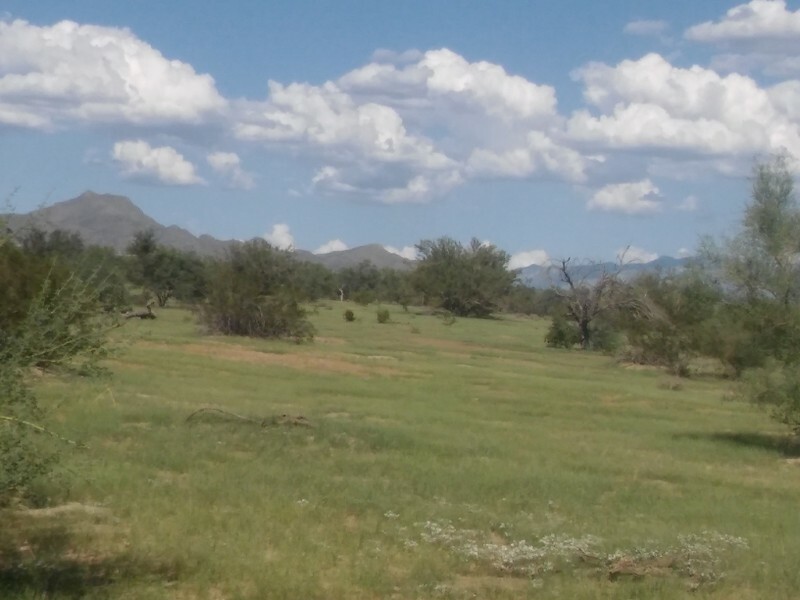 There are 2 pastures, one north pasture is the majority of the ranch and the southern pasture is approximately 3 sections. 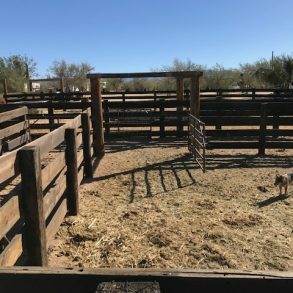 – The Southern pasture corrals is a modern set of working corrals made from green panels, and rail road ties including a panel sweep and tub system. The corral water is served by an electric well with 3000 gallons of storage. The access is from paved Tangerine road. 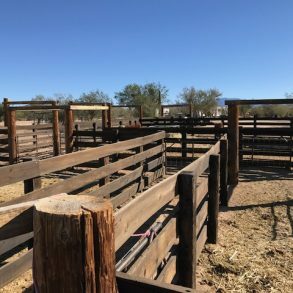 – The Headquarters corral is a new and very large set of working corrals made from very heavy timber, with steel gates and substantial posts. There are 3 large pens, plus a large water lot. The lead up alley to the chute is very long for ease of worming and inoculations in the alley. The corral water is served by an electric well with 3000 gallons of storage. The access is from paved Tangerine road. 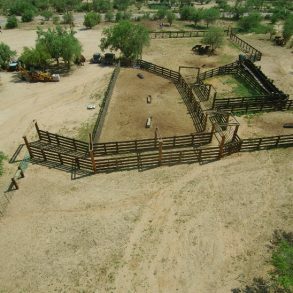 -The Northern corrals are a newer set of large timber corrals with loading alley and steel gates. 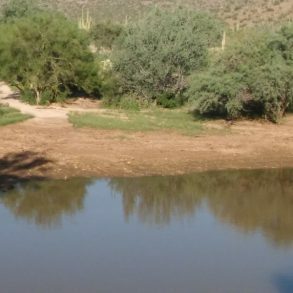 The corrals are accessed from a good dirt road and have water from a solar well with a large 5000 gallon steel storage tank. 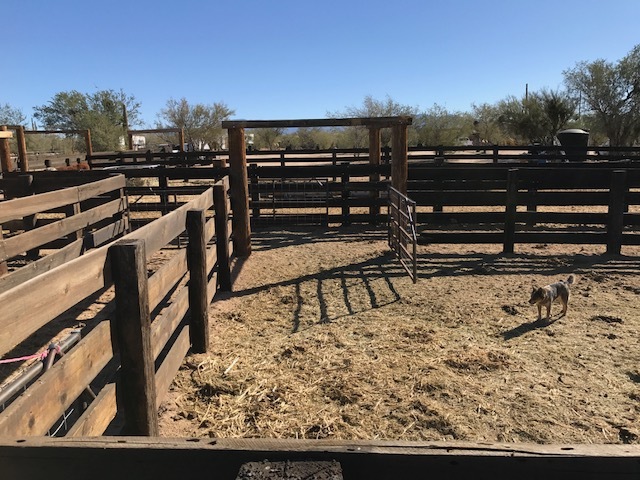 Improvements– This ranch has range improvements, two wells, one dirt tank, one haul water, perimeter fence, cross fence and 3 brand new to modern sets of corrals. 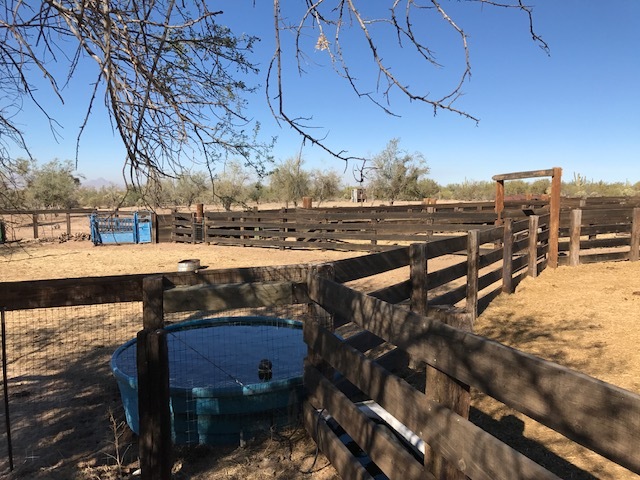 Notes– This ranch can be run with 95 head year long, with easy access to I10 and close proximity to the Marana Livestock Auction. 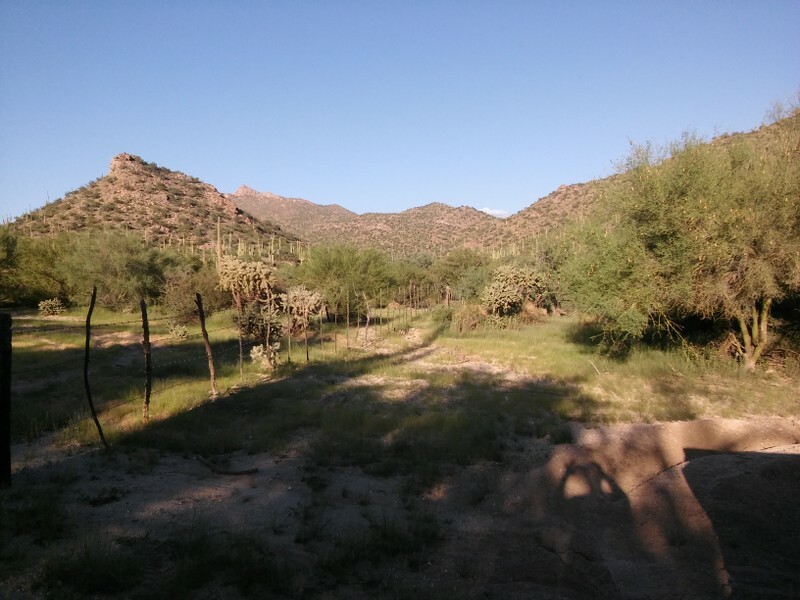 The land tenure reflects 23+/– sections of AZ State Land Department. 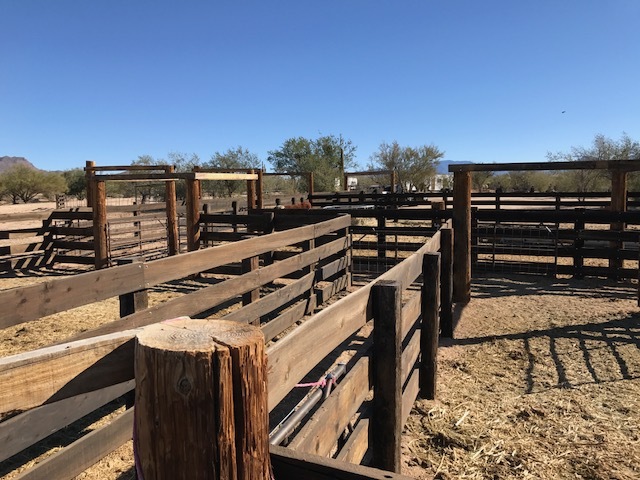 The ranch is beautiful with a lot of good improvements including stout new corrals with a high capacity for handling cattle. 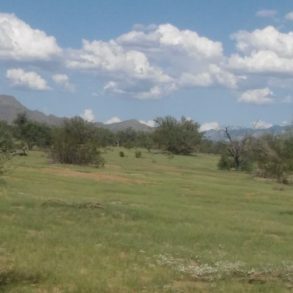 Information acquired through various sources and while deemed accurate, Stronghold Ranch Real Estate makes no guarantees herein and all potential buyers are advised to have any studies buyer deems necessary to achieve buyer’s satisfaction. Seller certifies that the information contained on this sheet is true and complete to the best of the Sellers knowledge.